Sale starts Wednesday June 27th at 9am EST. SO many Black professional women are earning great money. But they STILL feel overwhelmed and are living paycheck-to-paycheck. Are you a Black woman working in corporate or a professional Black woman making $50k or more and living paycheck to paycheck? In my "Save Thousands for Your Dreams Coaching Program™" I’ll teach you my system for how to save. Even IF you have never saved more than one month’s worth of emergency funds before. You DON’T have to give up everything you want, like and love, to save thousands for your dreams. Saving money doesn’t have to be boring. You can still have a fun life! I’ll show you how. Take advantage of my over 20+ years experience in personal finance to help you save thousands for your dreams, just like I've done for myself and my clients. I will help you DOUBLE YOUR SAVINGS. In the "Save Thousands for Your Dreams Coaching Program™" you will learn how to begin IMMEDIATELY saving thousands for your dream lifestyle. The "Save Thousands for Your Dreams™" Coaching Program 20% OFF DISCOUNT is available for ONE DAY Only to be applied to any Savings Strategy Discovery Call scheduled on June 27th by 11:59pm (EST). Schedule Free "Savings Strategy Discovery Call"
We'll discuss your savings goal, how I can help you, and ensure that we're a "good fit". I care about each and every one of my clients and make sure that I have time to focus on each individual. Therefore, I have a limited number of openings available for private coaching. So you're encouraged to book your call as soon as possible. 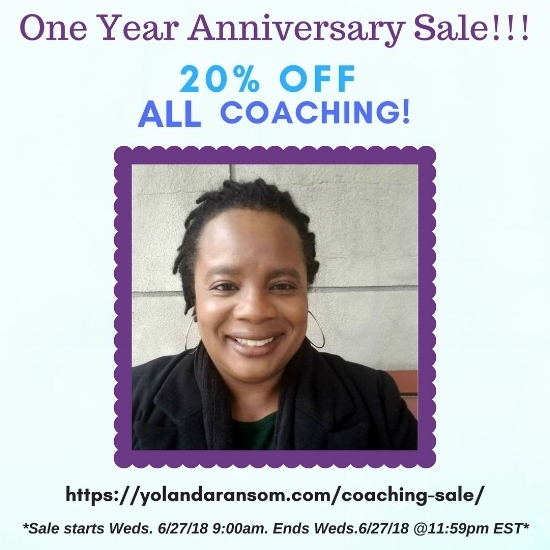 If we decide to move forward in working together to double your savings, you will get 20% OFF all coaching you purchase during our call. In order to receive this special sale, you must schedule your FREE Savings Strategy Call on June 27th by 11:59pm (EST). Schedule "Free Savings Strategy Discovery Call"